Arthur Klonsky became a professional photographer in 1976 after a successful career in landscape design. As a landscape designer he won many awards, including two awards for beautifying America given to him by Lady Bird Johnson in Washington D.C.
Arthur, founder of the photographic team, Janeart, and more recently of Yellow Dog Productions, moved into commercial photography, when he hired a helicopter to shoot the 1976 NYC Marathon, which won him instant acclaim and set a new standard for running photography with the world famous poster image of runners crossing the Verrazano Narrows Bridge. Working for clients from ABC to Xerox, his work has taken him from shooting from a 747 at 30,000 feet to underwater in the Caribbean, to the deserts of Kenya with the Maasai. While in Manhattan, he received numerous photographic awards for advertising and design. His time is now divided between special projects doing productions of film and still photography, gourmet cooking, and being on the board of the Maple Street School, Southern Vt. Art Center and The Weston Playhouse. Jane Sobel Klonsky has been a major player in the world of commercial photography for nearly 40 years. Her photography has taken her around the world. She has collaborated with her husband, Arthur, on seven books. During the production of the book Heartlands for Simon and Schuster, the NBC Today Show followed Jane and Arthur on a year and a half photographic journey that took them through small town America. "An American Odyssey" sponsored by The Kodak Corp. and The Image Bank, led them down the back roads and main streets of Maine to Florida, Tennessee to California living their dream, traveling through small town America, meeting its people. Known for her award-winning lifestyle photography, as well as for her work in fashion, travel, landscape and sports, her work has been published widely and she has won awards. Having left their former studio in Carnegie Hall in NYC, Jane lives with her husband Arthur, daughter Kacey, two dogs and two cats in rural Vermont. Jane and Arthur do extensive photography and film for Getty Images. 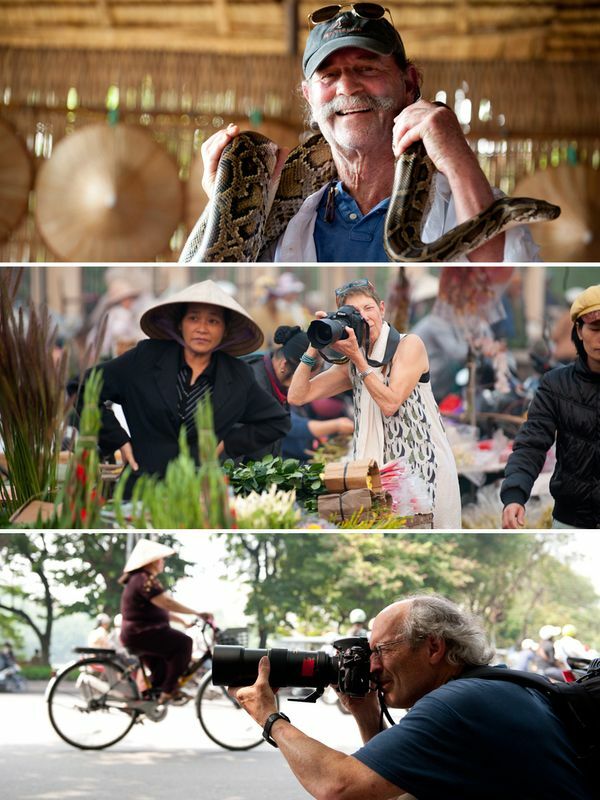 Bruce Wodder is a professional photographer and cinematographer working with his partners Jane Sobel and Arthur Klonsky in Yellow Dog Productions. Yellow Dog shoots stock film footage and still photography for Getty Images and has been a highly successful small production company since 1993. Bruce began his photography career in New York City in 1981, specializing in corporate, editorial and advertising imagery. While continuing to accept still photography assignments, Bruce's work has branched into film. In the last decade he has shot a 35 mm independent feature film as well as short films, documentaries and national television commercials in addition to stock film footage. Bruce's work has taken him to many locations around the world, from Europe and Africa, to India, across the United States and through China.